Ukrainian and Hungarian radical nationalist groups marched together in Uzhhorod, Ukraine on Sunday, in a demonstration that organizers described as a march “against chauvinism, liberalism and capitalism. 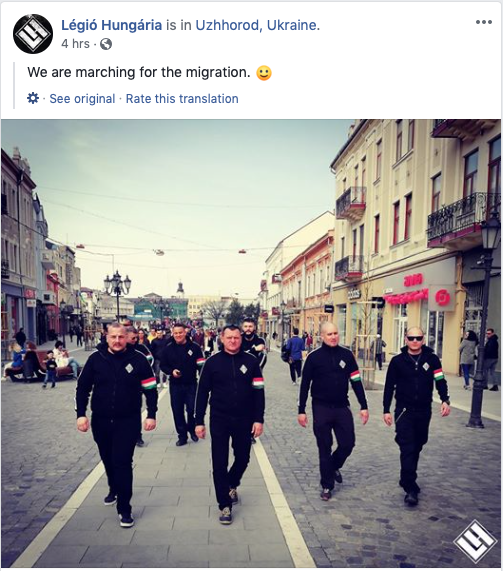 Members of the two organizations – Karpatska Sich and Legio Hungaria – posted images of the joint march on Twitter. Uzhhorod, a city in the Subcarpathia region of Ukraine known as Ungvár in Hungarian, has a population of just under 114,000 of which about 8,000 are ethnic Hungarians.